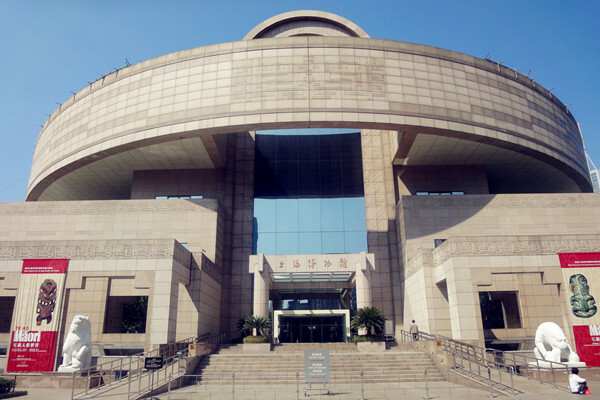 As a museum of ancient Chinese art, Shanghai Museum possesses a collection of 120,000 precious works of art. Its rich and high-quality collection of ancient Chinese bronze, ceramics, painting and calligraphy is specially celebrated in the world. Founded and first open to the public in the building previously of the horseracing club at 325 W. Nanjing Road in 1952 and then moved into the former Zhonghui Building at 16 S. Henan Road in 1959, the museum developed very quickly in aspects of acquisition, conservation, research, exhibition, education and cultural exchanges with other institutes. In 1992, the Shanghai municipal government allocated to the Museum a piece of land at the very center of the city, the People’s Square, as its new site. The whole construction took three years, from August 1993 to its inauguration on October 12th, 1996. The 29.5 meters high new building has a construction space of 39,200 square meters. Its unique architectural form of a round top with a square base, symbolizing the ancient Chinese philosophy that the square earth is under the round sky, is a distinguished architectural combination of traditional feature and modern spirit. The present Shanghai Museum has eleven galleries and three special temporary exhibition halls. It extends warm welcome to the visitors from all over the world.